Lexington, KY – January 30, 2018 – AVAIL and ArchVision announced today that both companies have made new hires to augment their executive lineup. Corey Rubadue joins ArchVision as Chief Executive Officer and Jim Clifton joins AVAIL as Chief Operating Officer. Mr. Rubadue has refined his knowledge of visualization development and software engineering during his experience with ASGVIS and Chaos Group. 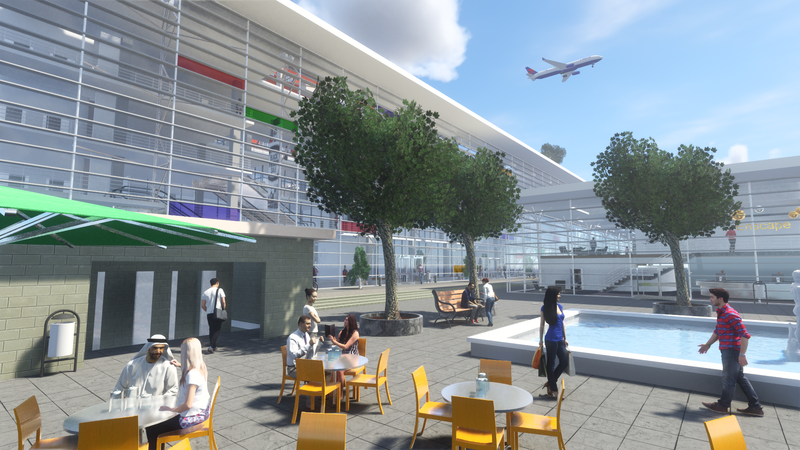 First-hand knowledge of the challenges faced in architecture led to the founding of ASGVIS in 2005 and pioneered the integration of the V-Ray renderer into SketchUp and Rhino. ASGVIS was acquired by Chaos Group in 2011 and Rubadue and his team continued to refine the software. In late 2016, he oversaw the launch of V-Ray for Revit. In August 2017, Rubadue founded Oonix Solutions LLC to expand his focus on visualization to support a broader range of technologies and applications. “Corey’s expansive experience in the visualization industry is unmatched and he brings a wealth of partner relationships he has developed over the past 15 years in the field. I’m looking forward to having Corey at the helm of ArchVision and know that he will lead the company to the next level”, said Randall Stevens, founder of ArchVision. In Mr. Rubadue’s new role as ArchVision CEO, he will oversee Product and Content development, Sales, Marketing and Personnel. Mr. Clifton comes to AVAIL most recently from Bluegrass Vascular Technologies where, as Chief Operating Officer/Founder, he developed technology from product concept to regulatory approval to initial market launch. With over twenty years experience in software product management, Jim provides energy, drive, and creative force to early stage, complex technologies. “Jim’s experience with every phase of the product development process makes him the perfect candidate for his new role as Chief Operating Officer”, said Randall Stevens, CEO of AVAIL. Mr. Clifton will focus on developing and refining AVAIL’s go-to-market process and provide oversight for Sales and Marketing, Operations and Finance. Founded in 1991, ArchVision improves design modeling and visualization with RPC technology that provides architectural entourage in the form of people, tree & plant and automobile content and environment clutter. The newest product to the ArchVision lineup, Family and Detail Warehouse, is a collection of over 27,500 Roof, Window, Door and Foundation details, available as native Revit Drafting Views and AutoCAD DWGs, with unlimited downloads. ArchVision currently serves customers located in over 100 countries. For more info visit www.archvision.com. AVAIL’s enterprise and content management software solution indexes content and helps users find it in new ways. Based in Lexington, KY, AVAIL grew out of a need for a better way for AECO professionals to access the voluminous content being managed across their enterprise. With over 50 combined years in the AEC industry, the AVAIL team is passionate about helping firms discover a new way to find and manage content. For more info visit www.getavail.com. We have some exciting news to share! The RPC platform is preparing for major changes. We are already delivering new RPC content and giving you tools to create your own content but that’s only the beginning. We are also in the process of replacing the ArchVision Dashboard with AVAIL. Dashboard was our first content manager designed to help you be more successful. Our goal was to give you a tool to access, manage and create your RPC content quickly and easily. In short, Dashboard is one of the main inspirations driving AVAIL. So, what’s the big news? RPC content can now be accessed via AVAIL! As part of our first phase of development, we have made the majority of our RPC content accessible through the RPC|All Access Marketplace channel in AVAIL. See the instructions below for getting started. Moving forward we will continue to move current RPC content over to AVAIL as quickly as we can. We will continue adding brand new content as well. If you are using RPC’s then most likely you are a visual person. AVAIL’s easy-to-use interface makes finding ALL of your content faster. To see a full list of AVAIL features visit the AVAIL website. See the video below to hear more from CEO Randall Stevens about the relationship between AVAIL, ArchVision and what the future holds for both companies. 1. If you haven’t already downloaded AVAIL, do so here. If you already have a version of AVAIL, you will need to make sure you are using version 3.4.3 or above. You can check your version in AVAIL by clicking the Settings button . 2. Once you download and register AVAIL, launch Dashboard. 3. Click on the Browse Channels button in AVAIL. 4. Click on the Marketplace tab, then click the “+” to subscribe to the RPC | All Access Channel. 5. Go back to your Channels and find the RPC | All Access Channel in your list of Channels. 6. Simply click each piece of content to download. In the development of Families, the choice of Object Styles, Graphics, and Identity Data usually receive careful attention, but the file name may be neglected. The inevitable result is eye/brain strain that may lead to slower read times, which slows production time,which leads to lower profits. Now we have your attention. After reading this post you will hopefully realize the need to implement well-defined, easy-to-read Family naming conventions to keep your projects running smoothly. File names should be kept as short as possible as long as they convey their content. Avoid using dates, numbers and special codes. Instead, use simple abbreviation to decrease the numbers of letters in the words. The Door Families in the image below uses commonly understood architectural abbreviations used for naming the materials for door frames. “HM” is the abbreviation for Hollow Metal. A list of some common architectural abbreviations may be found here. Notice how the names in the sample above have the ability to stack up according to Revit Category then by the type of door (swing, sliding, overhead or rotating) with the number of panels and finally the material followed by the type of the frame. This type of hierarchy is easy to memorize as it is simple and literally spelled out to the user. All Annotation (Tag, Title Block, etc.) fall under the same folder in the Project Browser. Curtain Panels as they may be “converted” to Doors or Windows in the Family Editor. Profiles as their Profile Usage may be “converted” in the Family Editor. The next example uses Specialty Equipment abbreviation prefixes as it encompasses the largest selection of building products on any given project and often contains the largest number of Families located in the Project Browser. The first part of the name is based on AIA sheet order which may be found here. Next is the type of equipment, followed by the manufacturer and model number. By using simple organizational logic the eye is quickly directed to very specific names. Note: The system used below uses CamelCase to spell out the name of the manufacturer. Feel free to use this on any of the conventions you may create as it is a real space saver. Unless you are using an operating system that does not support spaces, there is no reason you can’t use them! Reasons to not use spaces would be if you were pipelining Families or adding a Family to a URL for direct download as opposed to adding it to a zipped file. The bottom line is that Windows and Revit support spaces for Family names and that using spaces is easier on the eyes. Keep names as short as possible so long as they convey their content. Use natural language instead of special codes like the MasterFormat. Use headline style, also known as title casing. Do not use Categories for naming unless it is absolutely necessary. Be creative when setting up your system based on stackability and users needs. The mission of Family and Detail Warehouse is to maintain the world’s best, non-manufacturer specific library of standard Revit Families and Details… so you don’t have to. When we launched Detail Warehouse in late 2015 our goal was to provide an extensive collection of native-built Revit details perfect for starting or bolstering your own internal library. The library boasts over 27,500 door, foundation, roof and window details across 50 sub-categories. Also included in the collection are nearly 1000 ready-to-use Revit Components which have been very popular. The popularity of the components prompted us to continue to add additional Revit Families throughout 2016 including wood screws and sleeve anchors, concrete anchors and a comprehensive collection of AISC Steel Shapes improving over the OOTB (out of the box) content that ships with Revit. We’re expanding the overall mission of Detail Warehouse to be the preeminent stock library of native-built non-manufacturer-specific Revit families, components and details. As such we’re changing the name to Family and Detail Warehouse (F+DW). When we think of how many times the same families are modeled over and over and over around the world it becomes clear that a great stock library that’s growing and improving would be a great service to the industry. With a Family and Detail Warehouse subscription you get access to just that, a collection of the most popular native-built families and details, ready-to-use or edit to supplement your needs. The first major category we’ve tackled is Casework. 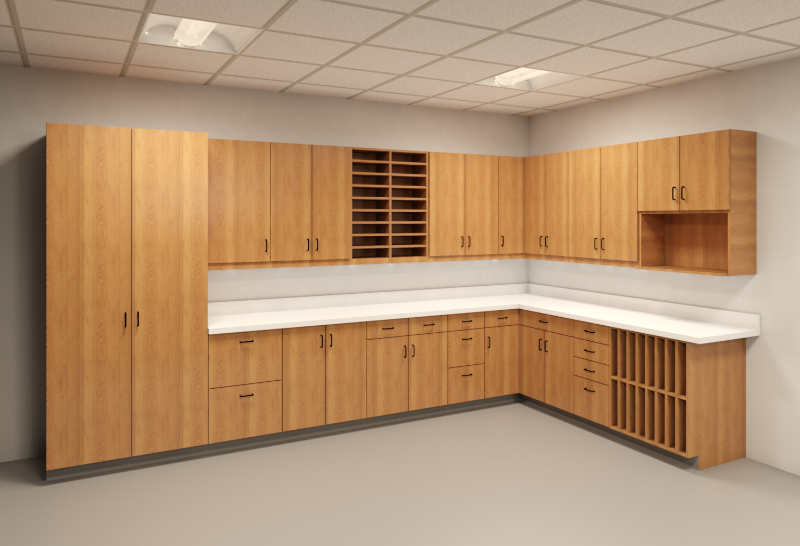 Included in your F+DW subscription are dozens of casework families driven by thousands of Types providing you with the most extensive commercial collection of casework available. 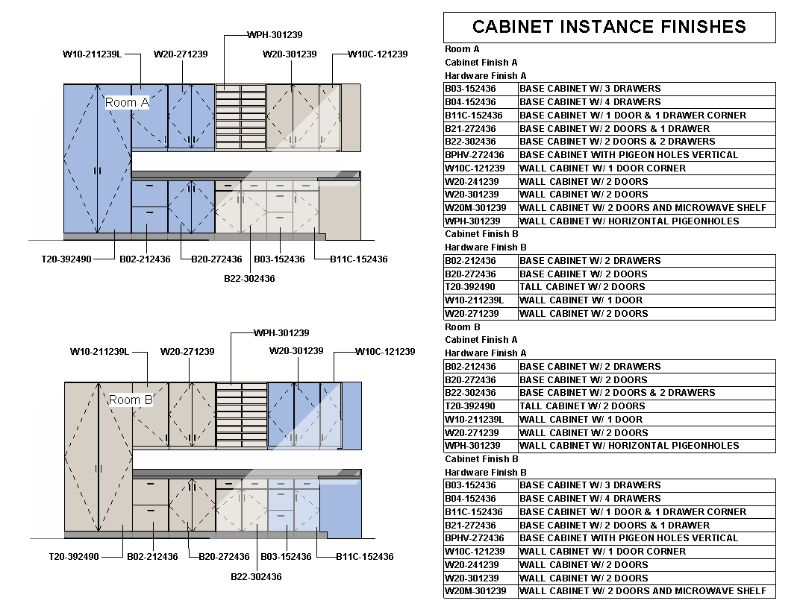 The casework library alone will save your team hundreds of hours should you opt to produce them yourself. We’ve done the heavy lifting for you! We’re not stopping there. An extensive collection of Doors is in production. We’d love to hear what you think would be helpful. As you may already know the F+DW library is managed and delivered through our sister company platform AVAIL. AVAIL is an enterprise content & workflow management platform designed to help AECO firms organize, manage and deliver content within their organization. You can learn more about AVAIL at getavail.com. F+DW subscribers can now take advantage of new advanced workflow features in AVAIL. With an AVAIL license you can now control distribution of F+DW “Channels” of content across your organization, control download access, and allow users to request Families by “Flagging” them which notifies admins of the request. The F+DW library of content comes pre-tagged within AVAIL making it easy to find the content you need quickly. We hope you’ll find the expanded mission of the Family and Detail Warehouse and the AVAIL content & workflow management platform a welcomed addition to the industry and your firms ongoing content strategy. Jan Kokol, Ph.D., is leading his design and visualization company IMAGO Design and working as a design consultant for major design firms. 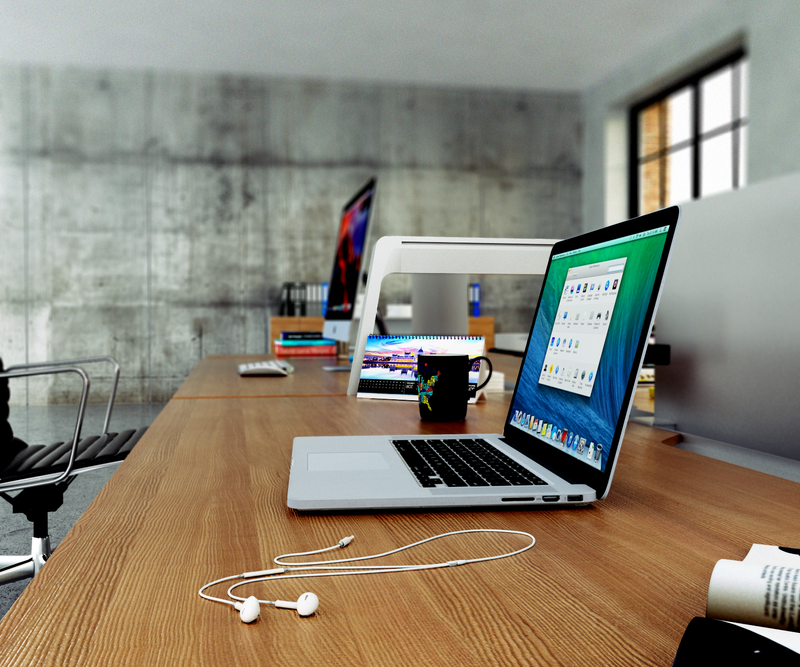 In this collection of renderings from Kokol, the 3D images were modeled in Rhinoceros, then ArchVision RPCs were placed and rendered in 3ds Max with V-Ray. Post production was handled in Photoshop. Though the software is powerful, Kokol says his biggest asset is sheer passion for his projects and continuing to learn new skills. Designed by Jan Kokol, here is a lobby space for OVG Real Estate on the M1 Berlin project. IMAGO Design is a computer graphics and design production studio specializing in architectural design, product development, visualizations, web design, illustrations and interactive environments. These are ideal settings for ArchVision RPC entourage to shine, and Kokol has done just that. Designed by Jan Kokol, here is the café view for OVG Real Estate on the M1 Berlin project. RPCs translate well in virtual reality scenes like the ones that Kokol created below. The VR movies were done with V-Ray and 3ds Max, too, and then rendered as 360 degree spherical images. Kokol studied Architecture at the Technical University Graz, the Faculdade de Arquitectura Lisboa, the Chiba-Dai University, the Massachusetts Institute of Technology and Harvard, GSD. Prior to starting his own company, Kokol was working for diverse international architecture firms such as Günther Domenig, Miralles Tagliabue, Opersis/Zaha Hadid and UNStudio. Kokol can be reached at imagodesign.at or office@imagodesign.at. Want to see your firm featured? Share your project with us. Contact us at marketing@archvision.com.